Whether you have an interior painting, exterior painting, residential painting or commercial painting project the popular colors we are using for Leawood painting projects in 2017 are a great choice! As you can see, there is a paint color for everyone. Remember that bright tones will look even brighter when placed on a whole wall. Have fun! Are you looking for color ideas to update your home, office or commercial building? Now is a great time to be planning and scheduling both interior and exterior projects before the busy spring summer Kansas City painting season! Popular ideas for color schemes and design trends are easier to find than ever thanks to web sites like Pinterest and Houzz. Is your style classic or trendy? Many of the sites online provide great ideas for both. One great color pallet we find ideas in is the Historical color line by Benjamin Moore. 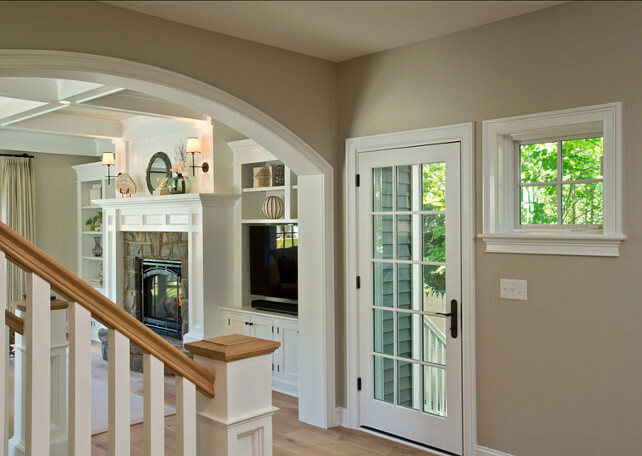 Brighter white trim colors and warm grey and other grey tones are continuing to be popular this year for interior painting and exterior painting projects. Call us at 913 897 7000 to let us know how we can help you with your upcoming project to get a fresh updated look at your office or home! Over the last year the paint colors we have seen most frequently for interior walls is the grey tones. The type of grey particularly are warm grey colors like SW 7044 Amazing Grey, SW 0037 Morris Room Grey, SW 6071 Popular Grey and a very popular neutral color is SW 6106 Kilim Beige. These paint colors can be found in the Warm neutral color family. 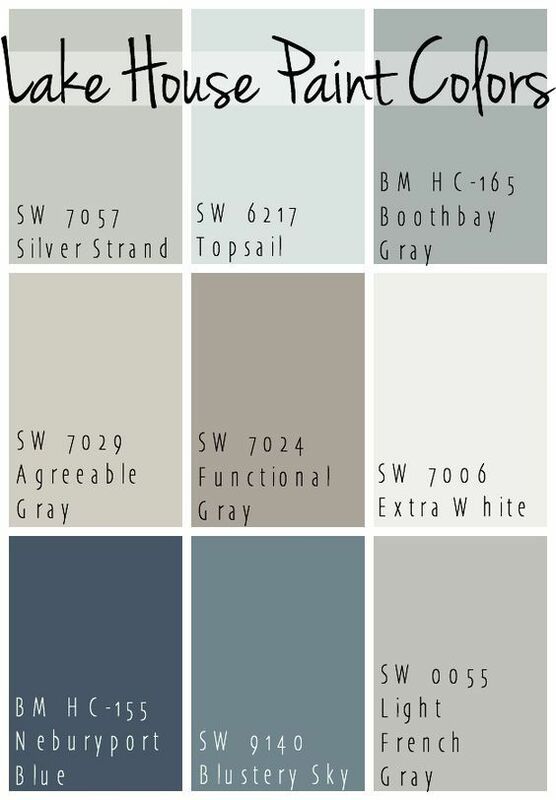 A popular warm grey color by Benjamin Moore is HC 172 Revere Pewter which is the color in the picture above. The HC before the Benjamin Moore colors denotes that it is one of their Historical Colors. When we are helping customers with color selection we always look at these colors first. They have great, rich and unique colors that our customers really like! Benjamin Moore has 23 colors in it’s 2015 color palette and the entire color system has over 3,500 colors to choose from. 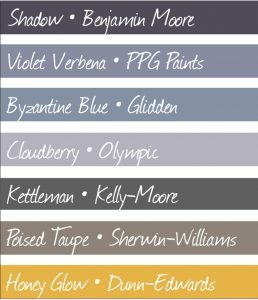 Sherwin Williams has a Color Forecast every year and that can be found on their web site. The Sherwin Williams color of the year is Coral Reef SW 6606. Exterior paint color trends for 2015 seem to be going to darker colors. A great way to select new colors is to drive through your neighborhood or high end new home developments and just look for the colors combinations that you like the best! It is impossible to envision a 2 inch color swatch on an entire home, seeing homes completely painted is the best way to get the perspective you need. Please call for a Free estimate at 913 897 7000 and we can offer color suggestions for your next project! Remember we do interior and exterior repairs and painting for residential and commercial projects in the Metro Kansas City area. Our service area includes Leawood, Overland Park, Olathe, Shawnee, Lenexa, Parkville, Lee’s Summit and the surrounding area. 2015 is our 25th year serving the Greater Kansas City area! 1. My builder told me stucco is maintenance free! At a minimum stucco will need to be cleaned, often mold forms on the north side of the house. 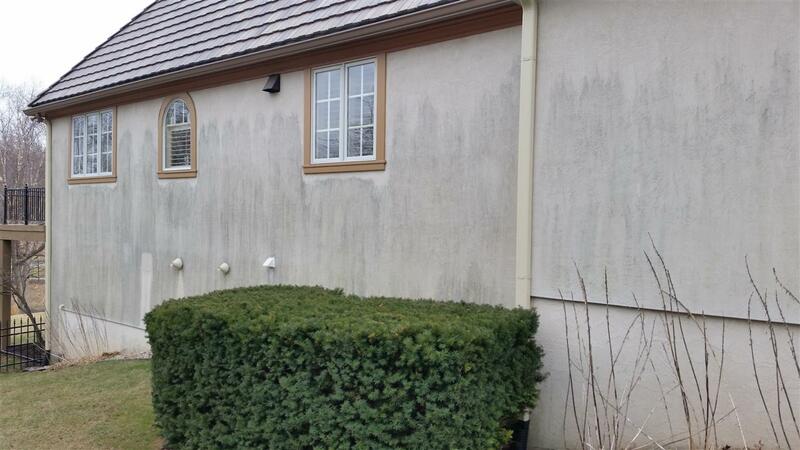 We have a cleaning solution that we use with a pressure washer to clean mildew on stucco/EIFS. Caulking needs to be maintained to prevent water penetration, we use industrial caulks and sealants that are made for stucco/EIFS. We can help you with caulking stucco, stucco repairs and filling cracks on your stucco, just give us a call at 813.897.7000 for a free estimate. 2. You cannot paint Stucco, EIFS or Dryvit. (The Dryvit web site recommends using an elastomeric coating to paint Dryvit, some stucco and EIFS has the color in it when it was installed but after 10- 20 years will be faded and may be a dated color which can be made like new with the application of an elastomeric coating. Elastomeric is an acrylic coating that is made for stucco and masonry surfaces that fill existing cracks and bridge future small cracks as well as create a waterproof outer surface to keep your stucco from absorbing rain water like a sponge and is designed to breath allowing moisture that may be in your home to escape. The best thing is your stucco will look new again and should last 12- 15 years before needing to be recoated, while protecting your stucco/EIFS. You can paint stucco with a regular exterior paint but the elastomeric has added protection. Lower quality paint or elastomeric will not last as long as the best quality products with higher grade acrylics that last longer and protect your stucco better. 3. Stucco is better and has less problems than EIFS/Dryvit. Stucco and EIFS can both have problems which are a result of improper installation, also, windows or other areas that allow water penetration can cause problems in both types of products. Properly installed and maintained EIFS is an excellent product for a home exterior. EIFS or Dryvit homes built more than 10 years ago(and even homes newer than 10 years) may not be using the industry standard methods and may be more prone to problems with leaking and potentially mold. Do you want to know for sure if your commercial building or home’s stucco or EIFS would benefit from Stucco Repair, Caulking or cleaning?? Please call 913.897.7000 today for a free consultation.